Amazon’s new program gives you the option to purchase the Kindle edition of the print books for $2.99, $1.99, $0.99 or free of cost. The MatchBook program was announced with 10,000 titles and in just a few weeks, the number has gone up to 70,000. You can get the Kindle versions of books from way back in 1995. All the MatchBook titles come with features like Whispersync, Popular Highlights and X-Ray, just like the rest of the Kindle library. If you are a publisher, then you can head on to the KDP website to enroll your titles. 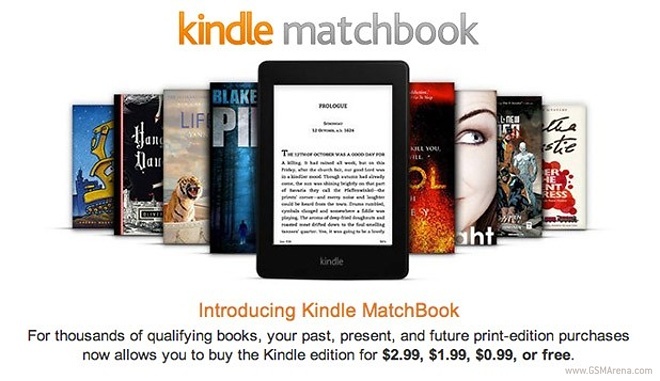 And, if you are a consumer, the Kindle Matchbook service is available here.